The Environment Agency and Waterwise urged businesses to reduce their water usage, saying UK businesses could save more than £3.5 billion a year by using water efficiency measures. Since the start of summer, total assistance from the agency has amounted to nearly $28 million. The one-hour webinar on Sept. 18 is part of a series presented by CDC, the National Center for Environmental Health/Agency for Toxic Substances and Disease Registry, and the American Public Health Association. 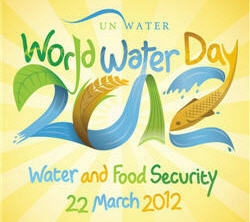 Companies deploy social media to raise awareness and encourage change in honor of World Water Day, March 22. Scientists at Kansas State University and seven other collaborating institutions were recently awarded $3.3 million from the National Science Foundation to conduct a-large scale study of how stream organisms influence water quality across North America. La Niña, which contributed to extreme weather around the globe during the first half of 2011, has re-emerged in the tropical Pacific Ocean and is forecast to gradually strengthen and continue into winter. The percent of land area experiencing exceptional drought reached record levels in August in three U.S. states – Texas, Oklahoma and Kansas – amid new concerns about how long the conditions may persist, an official with the National Drought Mitigation Center at the University of Nebraska-Lincoln said. Drawing from game theory, a biomedical engineer argues that a successful common pool resource (CPR) depends on participant behavior, which requires monitoring and management. As a blistering drought continues to plague huge portions of Texas, a Texas Tech University researcher says that even now in the midst of the fight, it’s time to plan ahead and logically plot a path for pulling more than 90 million acres of valuable rangeland back from the brink. In response to community concerns, Kentucky’s Louisville Water Company thought up a gravity-fed riverbank filtration system that connects to a mile-and-a-half-long tunnel leading to a treatment plant. Virtual water – the amount of water it takes to produce goods or a service – has been suggested as a possible solution to this growing problem by using virtual water values to inform international trade deals. But researchers say that the existing amount of virtual water is not large enough to overcome the existing inequalities. New Jersey’s demand for water challenges an already strained water supply, requiring new sources and those likely will be expensive, said John Bigelow, president of New Jersey American Water. Klaus Reichardt, CEO of Waterless Co., said his conclusion is based on a new book, "The Big Thirst," by Charles Fishman.